The Sponsor Workshops take place before the beginning of the regular workshops and offer a good preparation for participants of the workshops. They are offered for FREE for all registered participants of the conference and/or workshops. Please note that all pre-workshops take place at the same time, so you will have to choose just one! A one-day introduction to Grasshopper by the developer David Rutten. 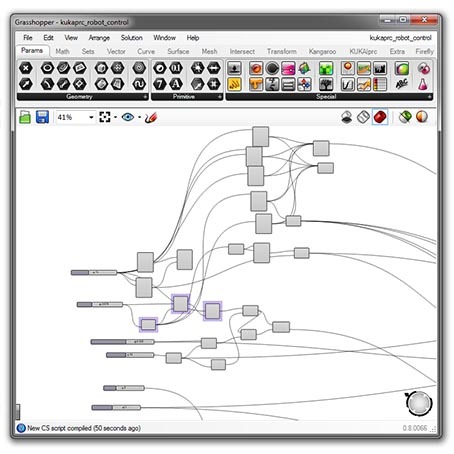 Grasshopper is a graphical algorithm editor tightly integrated with Rhino’s 3-D modeling software. 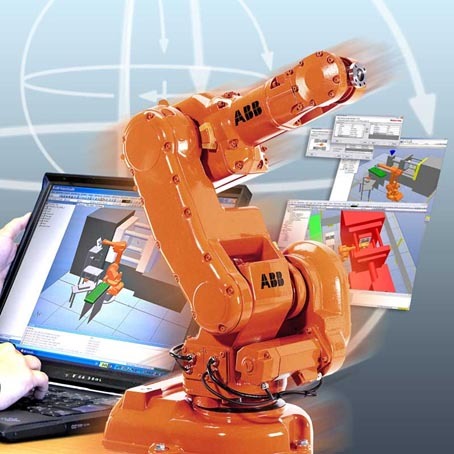 For robot control out of Grasshopper and Rhino see KUKA|prc or HAL for ABB robots. In these sessions (carried out at TU Graz and ABB Robotics Wr. Neudorf in parallel sessions) the participants will learn how to design, engineer and verify ABB´s robotic systems based on simulation and offline-programming. This knowledge is helpful to understand the whole process flow for the following practical TU Graz and TU Vienna II workshop. During the one-day-session in our training centers all participants are able to design, test and document a jointly created robotic test-station. They will learn to know basic elements such as CAD import, virtual start-up of an ABB robot system, Teaching and Path Generation in the virtual environment. Furthermore we will show specific RobotStudio 5 tools such as Autoreach, Collision Detection and True Offline Programming using the Offline-Area with ABB´s Virtual Robot Controller Technology and the RAPID Program Editor as well as the Virtual FlexPendant (Teach Panel Unit). Finally we will explain and show how to test, optimize and verify robot programs generated out of a specific CAD/CAM environment/interface before implementing them on the real robot system.